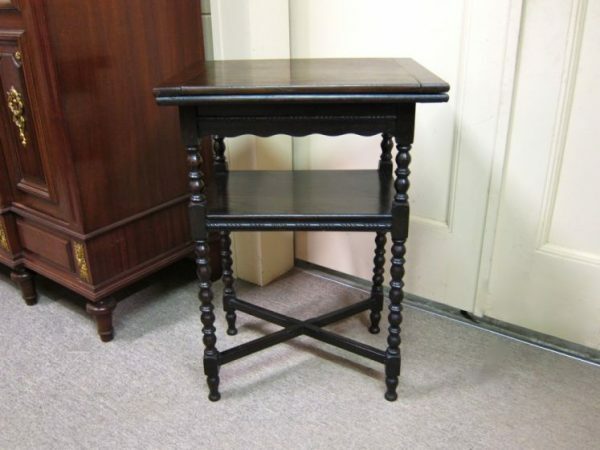 An English 1920’s two-tier oak folding card table in the Jacobean style. A decorative and functional occasional piece. In good original condition.